Alison is a lawyer and pioneering digital executive with over 20 years experience in new media and technology in Australia. She has worked across both strategy and implementation in start up and traditional corporate environments. She has founded and sold two technology businesses and more recently decided to apply her entrepreneurial skills to the not-for-profit space, while currently completing studies in social impact at UNSW. 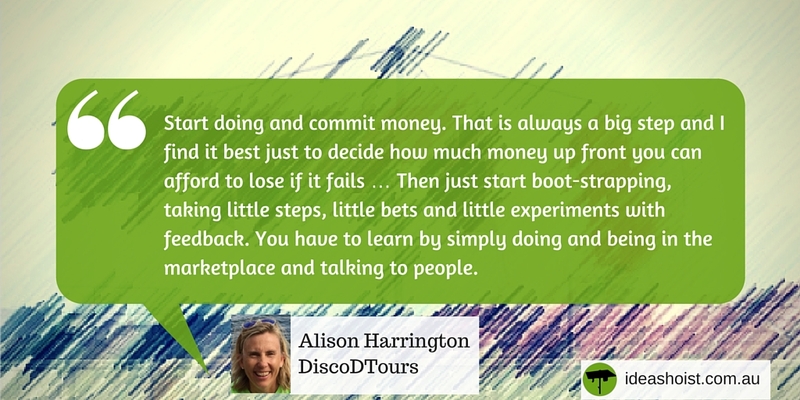 With a background in technology and a passion for social change, Alison founded discoDtours in 2015. discoDtours is a social enterprise business that is committed to spreading the fun, happiness and joy of dance, and to make a meaningful difference in the world by donating back to charities. I had experienced silent disco technology for the first time late last year and we went dancing in the streets with the headphones – I thought it was such a cool, joyous and surreal experience – I really wanted to share it. What struck me was how little fun and joy we experience day-to-day, and how there are very few times people truly lose their inhibitions. I wanted to run silent disco tours to “give people permission to lose their inhibitions”, then I had the brainwave to make this a fundraising activity and that was it! It was such a great and totally silly idea that I just had to give it a go. As I had started many businesses before, I knew what to do – and even though it doesn’t make it easier, at least you know what you are in for and hopefully make less mistakes! 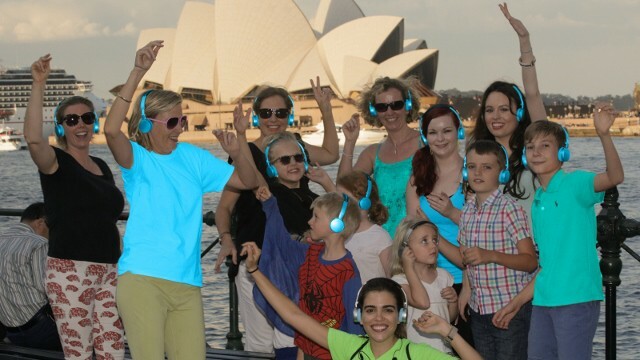 We run silent disco tours for individuals and groups. You can either book a normal tour at $35/head or set up a fundraiser for a charity, which is what we encourage most people to do. The way the charity side works is that charities or supporters book a custom tour with us and choose a ticket price. We kick off the fundraising by donating $5 per ticket – and charities retain any proceeds above $30 per head (which is the cost of the tour). That means that if your ticket price is set at $70 and you have 15 people discoDtour’ing, this will raise $525 for your charity in one hour! And it doesn’t end there, via our partnership with Givematcher, participants can raise even more money by getting people to sponsor their dance. We also provide charities with enormous social media exposure as this activity is one people take photos and video of and share with their networks. So the fun continues long after the dance! We are working on some big projects with The Kids Cancer Project and Starlight and their corporate supporters. We are also wanting to now get involved in fundraising at some of the bigger festivals like Sydney festival/Madi Gras and are starting to have conversations with organisers. We are also doing different types of tour experiences – like 10min little disco experiences at uni open days etc – we have recently done this for Newcastle uni. Also specialist music tours – like ABBA and GREASE are on the list!!! There comes a time when you think about it – do the planning – run the numbers and then just need to take the plunge and just start. Start doing and commit money. That is always a big step and I find it best just to decide how much money up front you can afford to lose if it fails. Then just start boot-strapping, taking little steps, little bets and little experiments with feedback. You have to learn by simply doing and being in the marketplace and talking to people. This was a totally new product that didn’t exist prior to us creating this and we just had to try to develop an amazing experience – which we think we have now done! I can be reviewing music tracks, running facebook campaigns, meeting with charities or working our schedules with my guides. I am also involved in another start-up and have 3 kids, so life is super busy! I think it is definitely funding and access to that. Also, I think there still is a bit of a tall poppy syndrome. And the old chestnut of market size in general; we are just not big enough to get scale in smaller niches – so you need to be super clever and strategic with your growth strategies. Anything around collaborative consumption – I recently saw all the boats lying idle in a dock, on a brilliant sunny day in Sydney harbour and thought – wouldn’t it be great if we could SHARE! Thankyou – the guys who do the bottled water who showed how to effectively demonstrate that you can harness social media and social goodwill to launch a business into major grocery channels with a small team of passionate people. I think is imperative that business play a role in affecting social change. I think you are going to see more entrepreneurial business’ being able to come up with concepts and execute them better than the NFP or govt. From the projects I have been doing, I can see that employees are looking for meaningful and engaging ways to really make a difference – this is where I see an opportunity for cross collaboration between business and the NFP sector to come up with new projects that harness the resources of business to solve social problems. A good example of this was a homeless app we built for a small NFP in Sydney which was then taken on by the News Corp realestate.com.au and rolled out across Australia as part of a much bigger solution. James Altucher.com – get the newsletter – great tech entrepreneur, different thinking. Designobserver.com – a social design innovation blog. Yes, we are always looking for people to help out, plus have huge FUN! We know now we have a great concept and currently we are really want to get the word out there and focus on some marketing/PR – so anyone who can help us tell more people about discoDtours is great. Also, an intern would be good over summer. Hugos Manly on a Sunday afternoon!